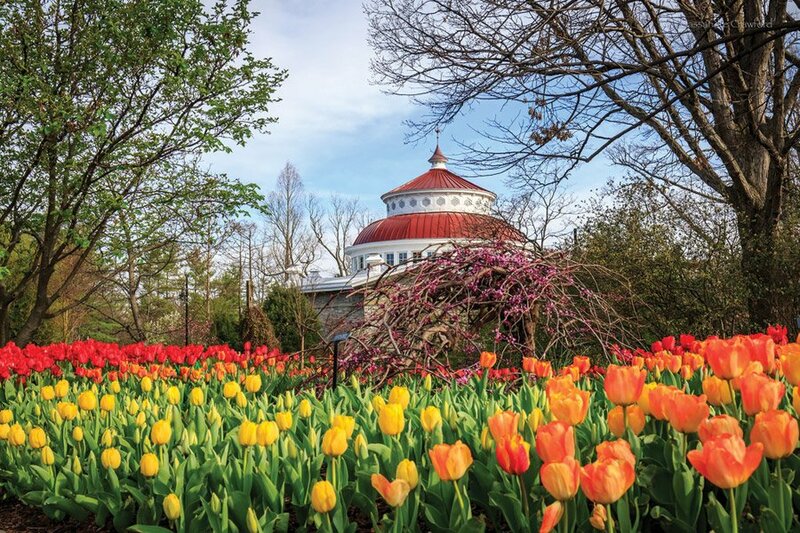 In spring, the Cincinnati Zoo and Botanical Garden comes alive with special events as well as blooms and babies. April belongs to the blooms. With one of the largest displays in the Midwest, more than 10,000 varieties of tulips are accompanied by a million daffodils, hyacinths, flowering trees and shrubs. The 10th annual Tulip Luncheon is today (April 19) at the Peacock Pavilion. Guests enjoy a quick garden tour, followed by lunch and keynote speaker Scott Beurlein of the zoo’s horticulture team. Throughout April, the zoo invites visitors to Tunes & Blooms, with free concerts in the garden every Thursday, 6-8:30 p.m. In May, Back to the Zoo brings the Cincinnati Opera returns to its first home for a performance May 18. The tickets, which became available Tuesday, April 18, are free, but typically are gone quickly. The concert at the Wings of Wonder Theater will begin with a reception at 6 p.m., with the concert at 7. Tickets are handled by the Opera box office: (513) 241-2742. Zoo La La caps off the spring’s special events May 19 with what is billed as the zoo’s “wildest party for a purpose.” The adults-only event in the zoo’s Africa area includes “zoo-nique” cocktails and dinner by the bite, a new raffle full of zoo experiences, up-close time with animals and a cheetah encounter. Tickets are $75 if you buy by April 28, and $100 after.